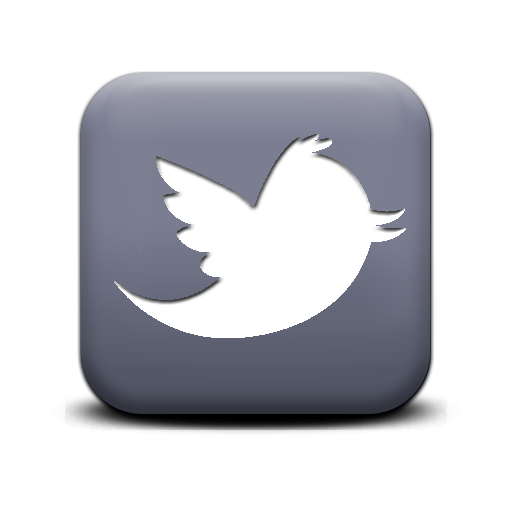 Why is it important and who should attend? 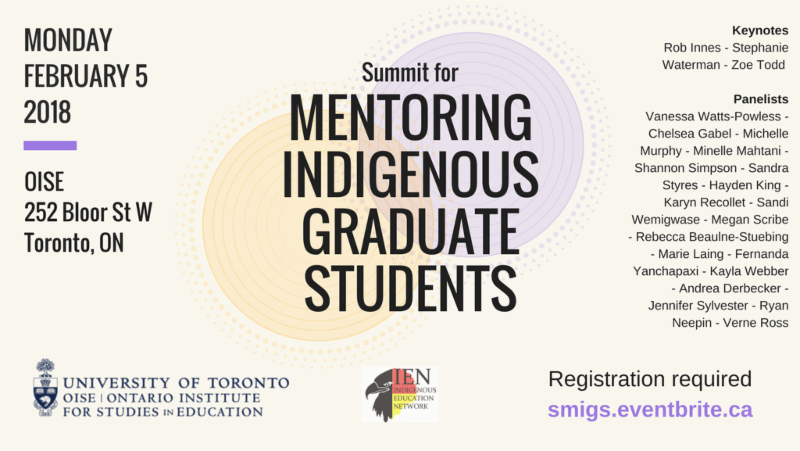 You’re invited to the Summit for Mentoring Indigenous Graduate Students on February 5, 8am to 5pm in the OISE Library! The one-day professional development summit is an opportunity for Indigenous and non-Indigenous professors, instructors, administrators, and university students to try on ideas that will change how we work together in academic spaces. Guests will learn from an incredible lineup of Indigenous keynote speakers and panelists, including Dr. Zoe S. Todd, Dr. Stephanie Waterman, Dr. Robert Innes, Hayden King, and many more. 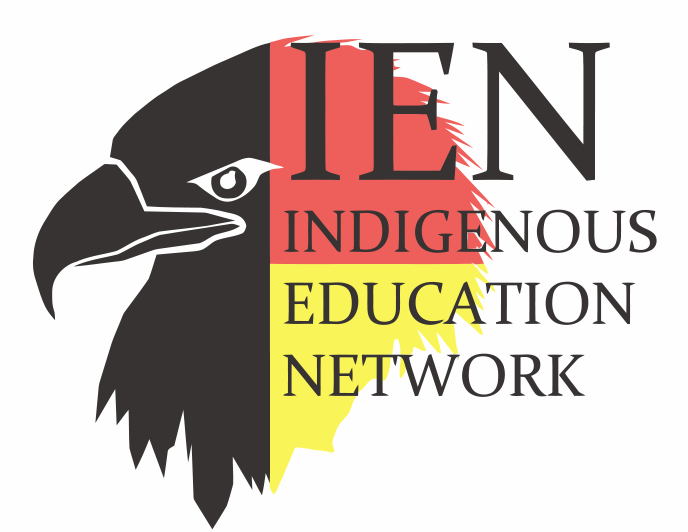 Join the conversation to improve policy and practice around mentoring Indigenous graduate students, so that universities become places that deserve the talent and knowledges of Indigenous learners. Truth and Reconciliation is the responsibility of all of us. We greatly encourage guests to bring a colleague or peer who would benefit from attending the summit. Organized by Eve Tuck, Sandi Wemigwase, Erica Violet Lee, Julie Blair, and OISE’s Indigenous Education Network.